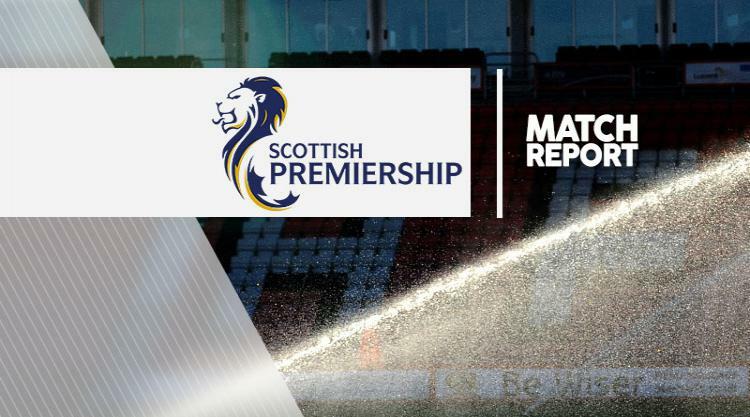 Louis Moult's second-half penalty sealed a hard-fought 2-0 win for Motherwell to earn the Steelmen their first three points of the season - and end 10-man Ross County's five-match unbeaten run on the road. In-demand striker Moult - who has told Motherwell he will not sign a new contract at Fir Park, manager Stephen Robinson revealed on Friday - doubled the hosts' lead from the spot 16 minutes from time after Kenny van der Weg had been sent off for bringing down the Englishman in the box. Richard Tait had put the hosts ahead in the 53rd minute as Motherwell made it two wins against Jim McIntyre's Ross County side in 10 days following the dramatic 3-2 League Cup win in Dingwall. Motherwell boss Robinson was forced to ring the changes for the visit of County, with goalkeeper Russell Griffiths and captain Craig Tanner replacing the suspended Trevor Carson and Carl McHugh after the two were dismissed at St Johnstone last weekend. Centre-back Ben Heneghen was handed the captain's armband for the day in the absence of McHugh and found himself in the book after just three minutes for a late tackle on Craig Curran. County substitute Christopher Routis, who replaced the injured Jim O'Brien in the 14th minute, almost made an immediate impact with a spectacular overhead kick but his impressive effort handled well saved by Griffiths. The former England Under-20 goalkeeper kept the visitors at bay again in the 21st minute with a superb low save to keep out Michael Gardyne's fierce curling effort from Jason Naismith's cut-back. Motherwell looked at all at sea in the first half and Robinson had clearly had enough, hooking Alex Fisher and Tanner for Allan Campbell and Ryan Bowman. The hosts improved after the restart and went ahead eight minutes into the second period, partly thanks to a defensive mis-hap from Andrew Davies. The County centre-back fluffed a clearance in his own box and could only watch in horror as the ball dropped for right-back Tait to steer into the net from 10 yards. Moments later Alex Schalk blasted a golden chance to level high over the bar and the visitors were made to pay for not making their first-half dominance count when Motherwell added the second. Through on goal with just the keeper to beat, Moult was bundled over from behind by Van der Weg, leaving referee Alan Muir with no choice than to show the Dutch defender a straight red card. Moult sent Scott Fox the wrong way to bag his first league goal of the campaign. Moult could have teed up substitute Bowman for a simple tap-in in the final minut, but his pass was over-hit. It did not matter in the end, though, as Motherwell strolled to a precious win - and only the club's third win at home in 2017.